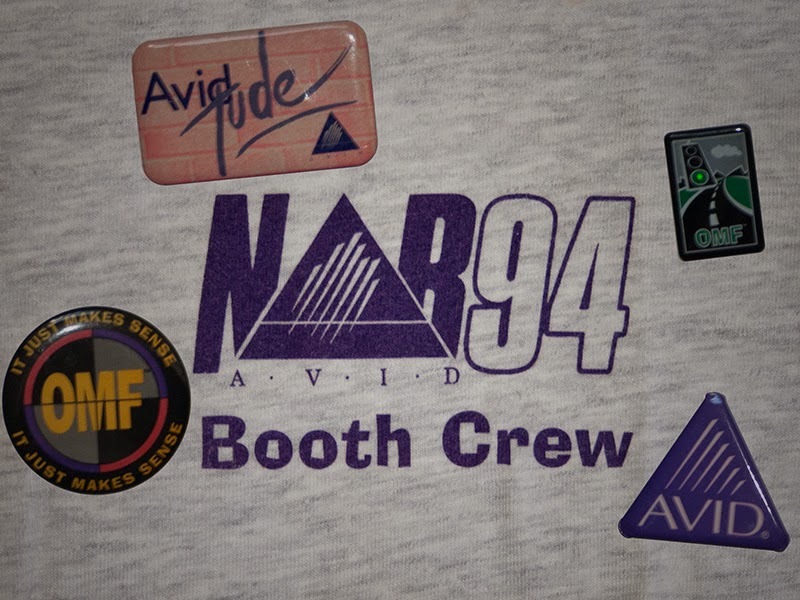 A setup t-shirt and some Avid swag from NAB's gone by. As a lot of you know, today is the first exhibition day of NAB 2014. For those of you unfamiliar with NAB, the National Association of Broadcasters convention is the big show for all of the film and video tool providers to unviel their new gadgets. Major vendors at the show include Adobe, Avid, Blackmagic Design, Canon, Panasonic, Sony and all the other big names. As the former manager of technical support for all of the trade shows at Avid, today would have been the start of my second full week in Las Vegas. 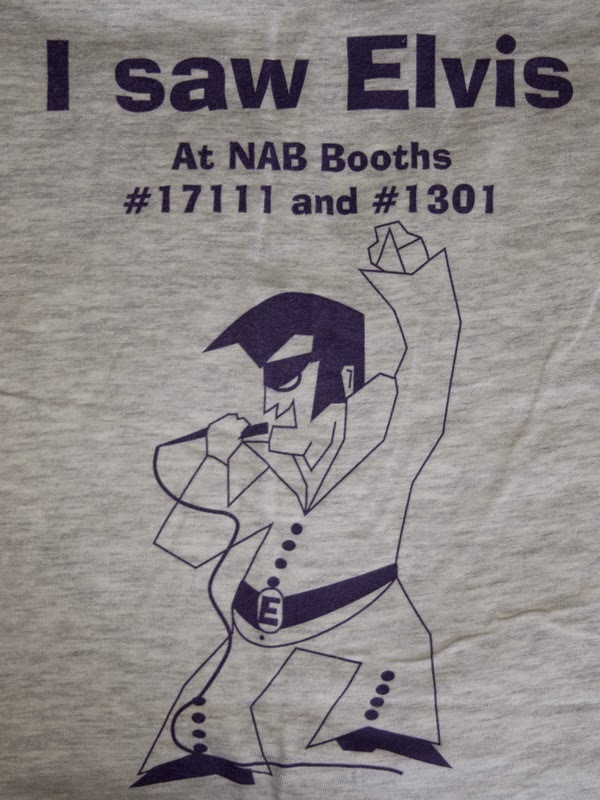 As I mentioned in the blog, NAB Twenty Years Ago, it was a lot of work, but I still think back on those days happily. Back of the '94 setup shirt. This year, Avid has already announced that in addition to selling perpetual licenses to its film and video tools, they will now start offering subscription pricing as well. I can only hope that Adobe announces their intent to start offering perpetual licenses again (I know, dream on). Keep an eye open for other major announcements from the show this week. I'm sure there will be a lot of great advancements announced this year. In a couple of weeks I will compile a list of some of the more interesting announcements. In the meantime, feel free to review the Top Video / Film Announcements at NAB 2013. If you happen to be at the show, let the rest of us know what you find out. A lot of good friends will be there, some of those friends were made while on the NAB floor. Wishing you all a very successful NAB 2014.